And is it how you want to run your business? You know what? I think we know each other well enough now to be honest. Sale or return might be killing your business. Let me explain. Sale or return, or consignment, is the practice of loaning your work to a stockist. No money changes hands at the time of the loan. If your items sell, you get a percentage of the retail price – usually a split of around 50/50 or 60/40 in your favour. As a retailer I have no problem at all with this arrangement. But you sure as heck do. Let’s pretend we’re explaining sale or return to an alien. Or a six year old. Or a six year old alien. The problem with sale or return is that all the risk stays with you. You’re taking it on trust that your goods will sell and that the shopkeeper will deal with you fairly. The retailer is in the sweet position of getting stock to sell with no initial outlay and, potentially, a large measure of control over when and how they pay you. You’re essentially giving the store an unsecured loan. 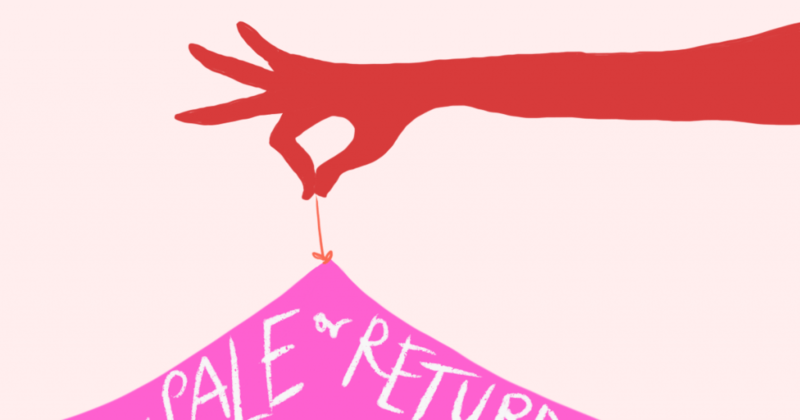 So sale or return is great for shopkeepers. It’s sometimes not so great for artists. To balance this out, most artists and designers rely on a sale or return agreement. 1. The items you’ve supplied, their quantities, descriptions and selling price. 2. How long you’ve agreed to supply the goods for. 3. Who’s responsible for insuring the goods. 4. What happens if your items are stolen or damaged while at the shop. 5. How, when and how much you want to be paid for each item. 6. A statement of ownership, which says the goods remain yours until you’re paid for them. Is it just me, or is all this a giving you a headache too? Regardless of how scrupulous your consignment agreement is or how trust-worthy your stockists, that’s a lot of caveats and small print. It’s also a lot of waiting and hoping that your stuff sells and nothing goes wrong. Wouldn’t it be better if you just got paid upfront? This way of doing things is called wholesale. If the retailer wants to stock your work, they either pay for it before it leaves your sight, or within an agreed time frame of your choosing – usually 30 days after delivery. Doesn’t that sound pretty good? Compared to sale or return, wholesale is clean and simple. If you set a decent minimum order, you’ll get paid in big blocks of cash rather than dribs and drabs as things sell. And once you’ve waved it off at the post office, you can strike each order from your to-do list. There’s no checking in to see if your stuff has sold. That’s not your problem – it’s the shopkeeper’s. Only offering wholesale is also a statement of confidence and strength. You’re saying your stuff is worth the investment. No half measures for you. But now it’s time for some caveats and addendums of my own. It’s a horses for courses situation, and sale or return might work very nicely for you, particularly if your items have a high selling price and stocking even one or two would involve a very large outlay for the retailer, or if you’re in an early, fact-finding stage. If you’re offering sale or return and nothing much is happening, it might be time for a re-think.